Our range of products include portable cnc cutting and welding machine, cnc cutting machine, mcm door welding machine and windmill tower door cutting machine. 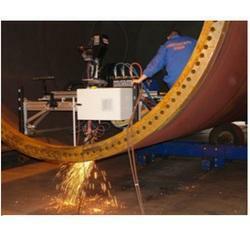 Portable CNC Cutting and Welding Machine performs oxy-fuel or plasma cutting with single or double sided bevel on pipes, tanks, various steel structures. It can be used on flat or curved plates and can be fixed off-centre (hillside). 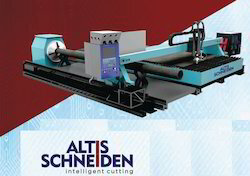 We are a well-known distributor of CNC Cutting Machine - Atlis Schneiden in India. Positioning Speed: 6m to 12m/min. 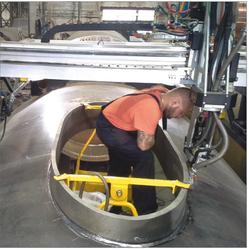 Our valued clients can avail Windmill Tower Door Cutting machine that is developed to cut doors in exclusive custom made shapes for wind tower industry. 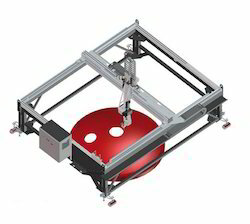 It features a measuring arm, sliding clamp, main beam with a linear scale, and a software.